Rouhani said on Tuesday the country needs to prepare to fight military powers who want to take over their territory. 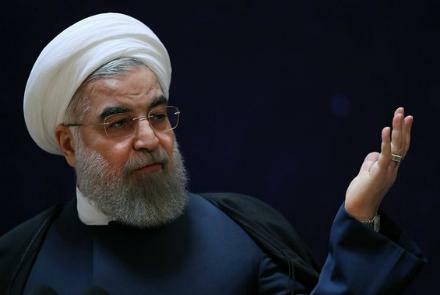 Iranian President Hassan Rouhani said on Tuesday the country had to develop its military forces to prevent other states taking over its territory and resources. “We should make ourselves ready to fight against the military powers who want to take over our territory and our resources,” Rouhani said in a speech broadcast live on state television on National Defense Industry Day. This came after Iran unveiled a new fighter jet on Tuesday, state media reported, as tensions rise between Tehran and regional rivals over conflicts in the Middle East. What Lies behind bin Salman’s Trip to Pakistan? Money for Missiles? Why the US-Taliban Peace Talks Venue Changed from Riyadh to Doha?